Plus de résultats de livres pour "Tourism"
Dossier Schriftelijke Communicatie 1.3 Hierbij mijn dossier Schriftelijke Communicatie 1.3. Ik heb voor dit dossier een 8.2 gehaald dus wie weet heb je er wat aan! Unit 12 - Responsible Tourism - P3 M2 D2 In P2 I examine strategies used to manage responsible tourism in destinations. In M2 I assess the effectiveness of strategies used to manage responsible tourism in a selected destination. In D2 I suggest improvements to strategies used to manage responsible tourism in a selected destination. Unit 12 - Responsible Tourism - P1 In this assignment I completed P1 of Responsible Tourism: describing economic, environmental and socio-cultural impacts of tourism on destinations. The destinations I described in terms of economic, environmental, social and cultural are Bournemouth, Croatia and Reykjavik. Very detailed and well organised assignment. 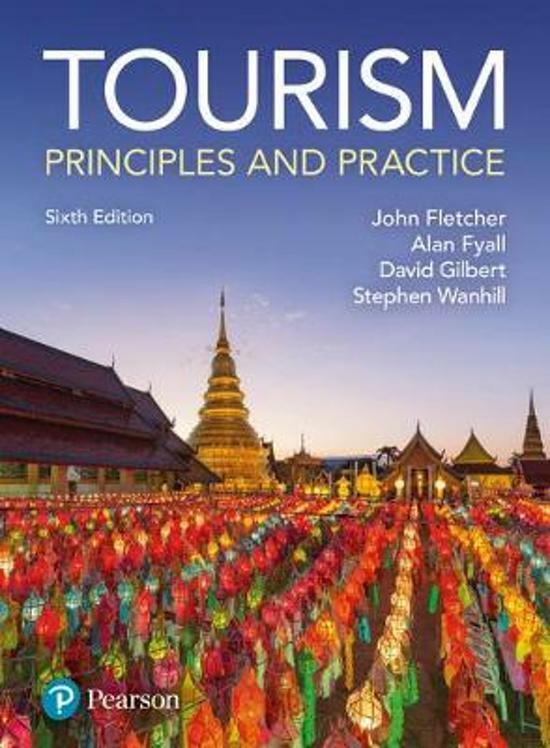 Sustainable Tourism - Summary This is the perfect preparation for the exam Sustainable Tourism, which is given in the minor Responsible Travel. This summary includes the lectures, guest-lectures, the sustainability congress 2018 and the movie Milking the Rhino. In the index, you can read precisely which topics will be discussed. Rapport over Voluntourism voor het keuze vak Responsible Tourism Rapport voor het keuzevak Responsible Tourism. Hier is een rapport geschreven over het probleem Voluntourism. Alle stakeholders zijn uitgelicht en er zijn verschillende oplossingen uitgelicht. Report for the Responsible Tourism elective. Here is a report written about the problem Voluntourism. All stakeholders have been highlighted and various solutions have been highlighted.